According to Eyes Of Lagos’s exclusive report on the return of the notorious youth populated gang known as Awawa Boys to Agege community and the eventual arrest of about 40 suspects by the operatives of the Lagos State Police Command, recent developments have showed the real reasons why the gang returned unhindered. Some residents noted that the community is no longer secured as the gang members now operate with reckless abandon and the Police operatives cannot contain the excesses of the gang. 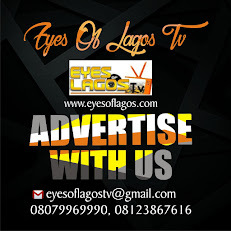 According to Eyes Of Lagos sources, the Awawa Boys operated freely in the community as a result of the recent changes in the operations of the officers attached to the newly reformed Lagos State Neighbourhood Corps (LNSC). Commenting on the development, a top source of the LNSC said the Awawa Boys grew stronger about five months ago when the LNSC team were curtailed from operations. “Agege had known peace and calmness before the changes made to the operations of the LNSC. Before that time, the team usually embarks on monitoring and intense patrol raiding the black spots with great success,” the source said. “It was until a mandate surfaced from the Area Command to suspend any form of operation in the community. This mandate crippled the activities of LNSC, making the officers helpless as any form of operation carried out will be termed illegal. “The LNSC is the closest to the community and has detailed information on any street urchin including their family house if any. The gang members have nowhere to hide because they live in the neighbourhood,” the source added. Meanwhile, Eyes Of Lagos learnt that some community leaders in Agege community have commenced moves to find a lasting solution to the activities of the dreaded Awawa Boys in the community. Recall that Eyes Of Lagos reported how the Awawa Boys robbed unsuspecting residents disposing them of their valuables in Agege community. At the time, sources said the gang also vanldalised properties of some traders around major markets in the axis.